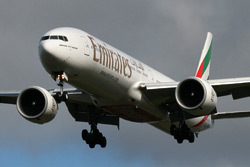 Welcome to my Aviation Photo Gallery website, which is dedicated to aviation events in Scotland. 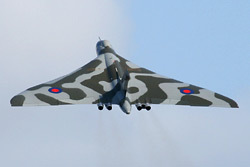 The two main locations featured are the Museum of Flight at East Fortune, and RAF Leuchars in Fife. To find your way around the site, use the main menu at the top. The Photo Galleries links here will take you to the most recent page for each event. Where there is more than one page for an event, use the drop-down list which will appear in the middle of the page. I frequently add new photos to the site, and I also update and improve the older ones. A good way to keep up to date is to subscribe to the RSS News Feed at the foot of this page. You'll need an RSS-compatible web browser or e-mail client. 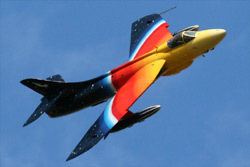 This is a new version of Aviation Photo Gallery- I am currently re-building it with the Joomla! content management system. The new version is fully responsive- you'll be able to view it on devices of various sizes: desktops, tablets and mobiles. You'll still be able to see some pages from the old version of the site for a while. Eventually, all the pages will be updated to the new style. The Museum of Flight is situated at East Fortune Airfield, East Lothian, Scotland. It has a superb collection of aviation exhibits, with everything from gliders to jet fighters and space rockets. Pride of place in the museum's collection goes to Concorde, which arrived in April 2004. The museum also runs special events such as the Wartime Experience, the Wheels and Wings Show, as well as the annual Airshow. There are many photos from various events at the museum on this site. The museum has its own official website, which has plenty of information on forthcoming events and special attractions: www.nms.ac.uk/flight. RAF Leuchars is a former Royal Air Force base situated near St. Andrews in Fife, Scotland. It was an air defence base, and was home to Nos. 1 and 6 Squadrons (Typhoon FGR4). The Typhoon squadrons re-located to RAF Lossiemouth in Morayshire, Scotland in 2014. Until 2013, RAF Leuchars hosted an annual airshow dedicated to the Battle of Britain, which featured large static and flying displays. 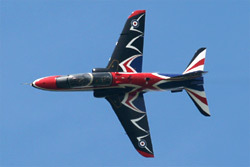 There are many photos from RAF Leuchars airshows on this site. I hope you enjoy my website. If you have any comments or suggestions, please sign the guestbook. You can also contact me directly through the contact page.